The most insane part of this bass is that it's selling for under $700 at the time I write this. You might think, "Wow, that's a lot." Not for this it isn't. 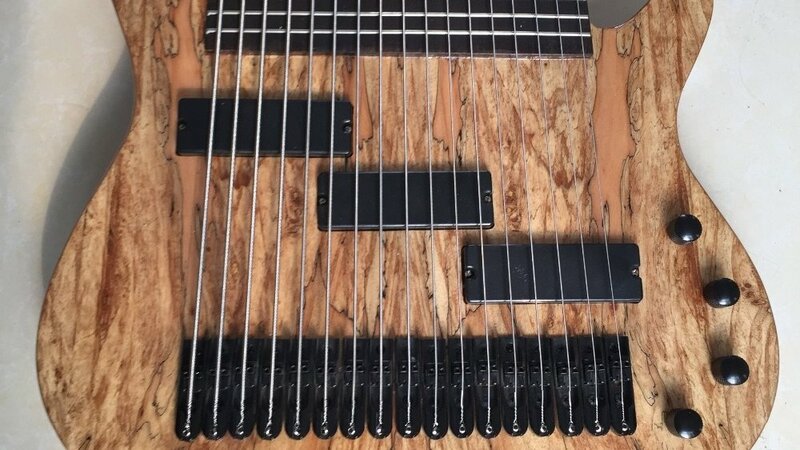 To get a bass with this many strings for anything under $1,000 is actually a really good deal. The seller states very little on the specs of this instrument so I'm going to have to go completely by what I see here. All tuners are Y-key type, which helps a little bit to keep the headstock weight down... although I'm 100% there is absolutely no way to prevent neck dive on this thing no matter what tuners are on it. All pickups are soap bar style and appear to be passive. Of the little info there is on specs, the body is mahogany and fingerboard is rosewood. The neck, which is more like a plank to be totally honest, does have 24 frets. Obviously, the frets are ginormous. There are FOUR truss rods, indicated by the four truss rod covers at the headstock. I am guessing the knobs are volume pickup 1, volume pickup 2, volume pickup 3, master tone. 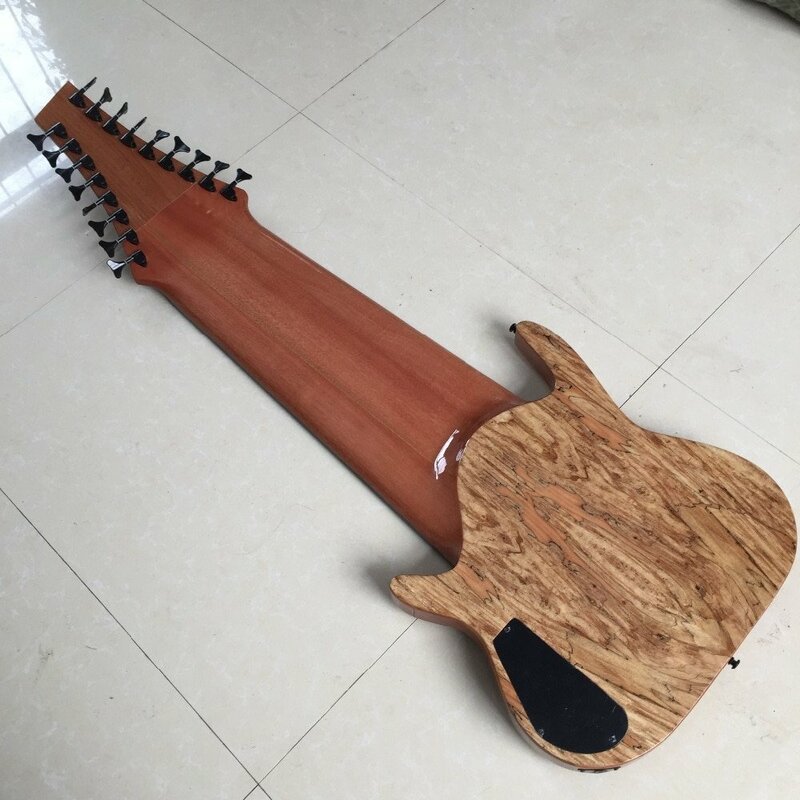 Is this a one-off instrument? Surprisingly, no it isn't. The listing for it states 4 have been sold already. 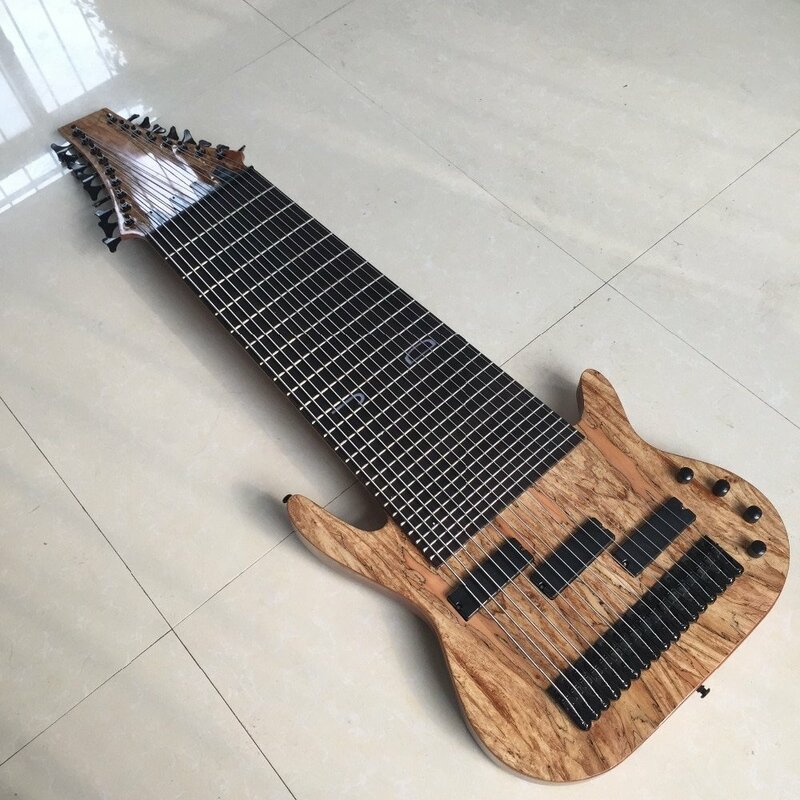 If you want yourself a crazy 17-string bass, it exists, and shockingly, it's affordable considering how insane it is.